We're at it again! Another great 4 DVD beginner's Dancing Set for Social Dancing. The Dance Lessons starter kit. 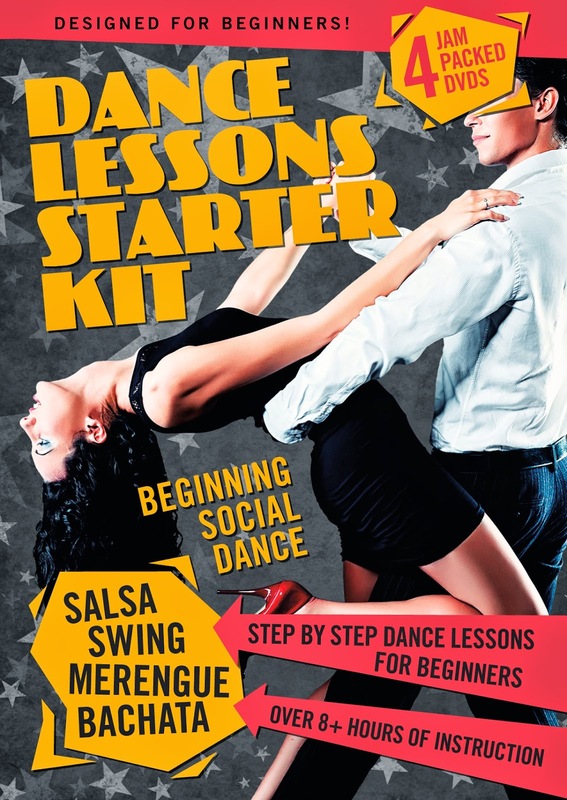 This 4 DVD starter lessons kit includes DVDs in Swing Dancing, Salsa Dancing, Bachata Dance, and Merengue. It's awesome, and it's from the START. You're going to love it! The Dance Lessons Starter kit is your one stop dance lessons for nightclub social dances. The series covers swing dancing, salsa dance, merengue, and Bachata, all on their each individual DVDs, and all from their very first steps. The DVD on the RIGHT side is the one I am review today. 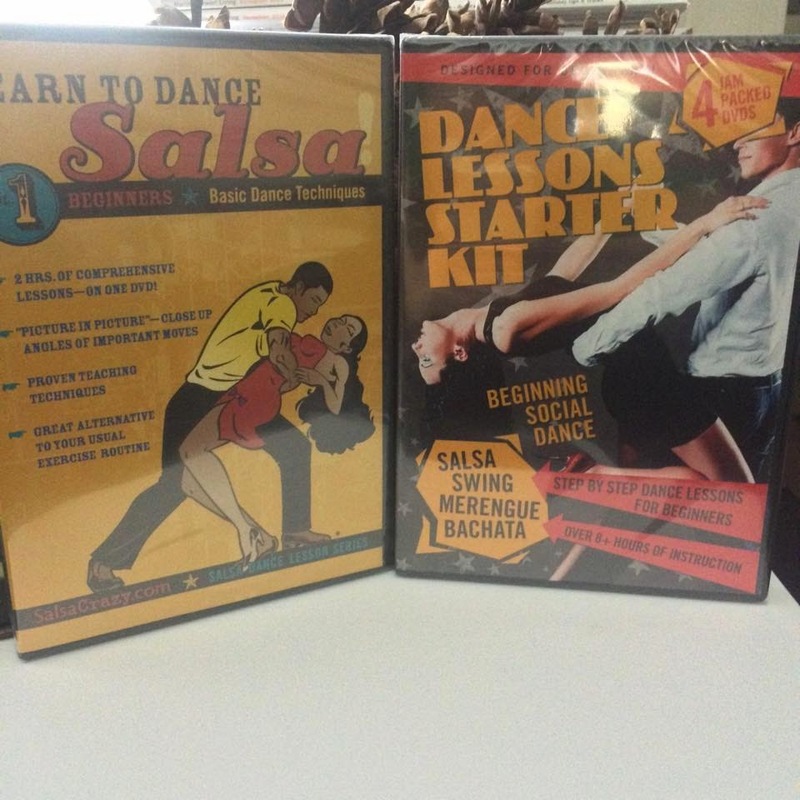 We started with the Salsa DVD on the left and wanted to learn more so we moved on to the Dance Classes Starter Kit which includes 4 DVD's by DanceCrazy. Each DVD has a different dance class. Salsa, Swing, Merengue and Bachata! I am by no means a good dancer but I could follow along pretty well and certainly enjoyed myself while learning these 4 fun dances! My little girls had a blast with the music and the dances. If you want a beginners guide to these dances, this is the perfect DVD set to try. I like that you can take these dance classes in the privacy of your own home.